Fifty lactating Alpine goats (15, 25, and 10 of parity 1, 2, and 3 or more, respectively) with an initial BW of 55.2 kg (SE = 0.95) and 125 DIM (SE = 3.0) were used to determine influences of different periods of restricted feed access on intake and performance. A 40% forage loose diet (20% alfalfa pellets, 10% cottonseed hulls, and 10% coarsely ground grass hay) was given free-choice in Calan gate feeders during a 3-wk preliminary period, with means in the final 2 wk used as covariates, followed by four 3-wk periods. Treatments were feed access continuously (Cont), during the Day for 8 h or Night for 16 h, and for 2 or 4 h/d with equal lengths after milking in the morning and afternoon. Neither DMI (2.05, 1.87, 2.08, 1.91, and 1.87 kg/d; SE = 0.107) nor milk yield (1.77, 1.75, 1.67, 1.64, and 1.68 kg/d for Cont, Day, Night, 2Hour, and 4Hour, respectively; SE = 0.098) were influenced by treatment (P > 0.05), with milk yield (1.83, 1.84, 1.60, and 1.54 kg/d in periods 1, 2, 3, and 4, respectively; SE = 0.051) but not DMI differing among periods. Treatment also did not influence ADG (32, 22, 49, 9, and 20 g; SE = 13.0) or body condition score during the study (2.35, 2.32, 2.24, 2.26, and 2.34; SE = 0.052) and at the end (2.49, 2.39, 2.32, 2.33, and 2.42; SE = 0.054). However, there were treatment effects on milk concentrations of fat (3.78, 3.64, 3.54, 3.75, and 3.21%; SE = 0.126) and protein (2.91, 2.88, 2.88, 2.84, and 2.58% for Cont, Day, Night, 2Hour, and 4Hour, respectively; SE = 0.049). Energy-corrected milk (3.5% fat, 3.2% protein) in kg/d (1.70, 1.66, 1.58, 1.53, and 1.52 kg/d; SE = 0.101) and relative to DMI (0.79, 0.84, 0.78, 0.81, and 0.81 kg/kg for Cont, Day, Night, 2Hour, and 4Hour, respectively; SE = 0.073) were similar among treatments. 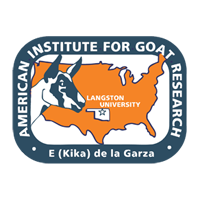 In conclusion, lactating dairy goats in mid- and late lactation possess considerable flexibility in eating behavior that may allow for incorporation of limited feed access regimes in management systems for most efficient facility utilization.